With this creative station, marbleise absolutely anything with a cool instant Tie-dye effect! 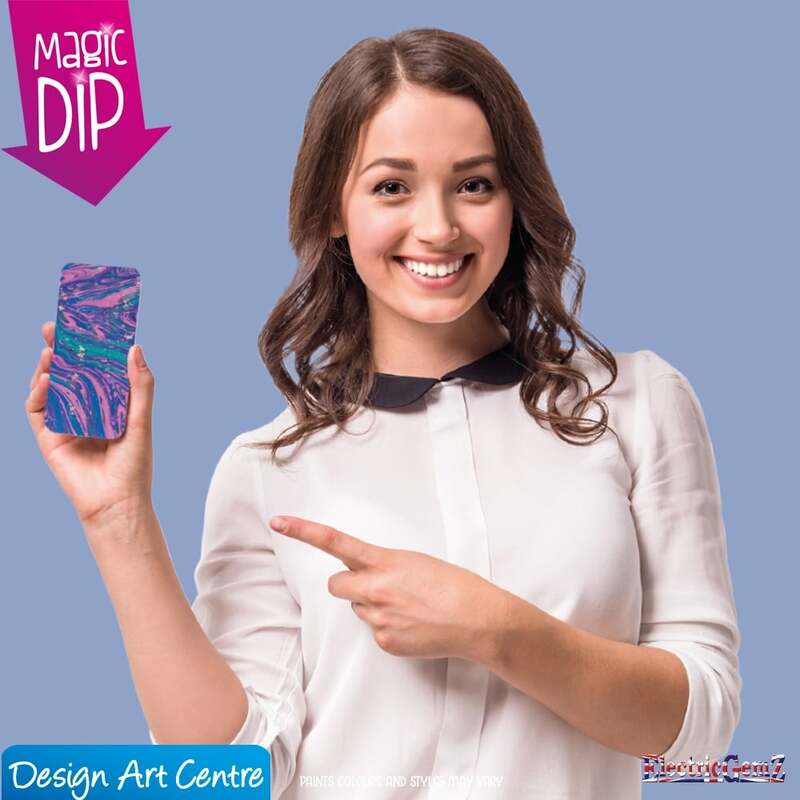 Suitable for ages 8+, any material can be dipped - if you can dip it you can colour it and a unique design is created every time. 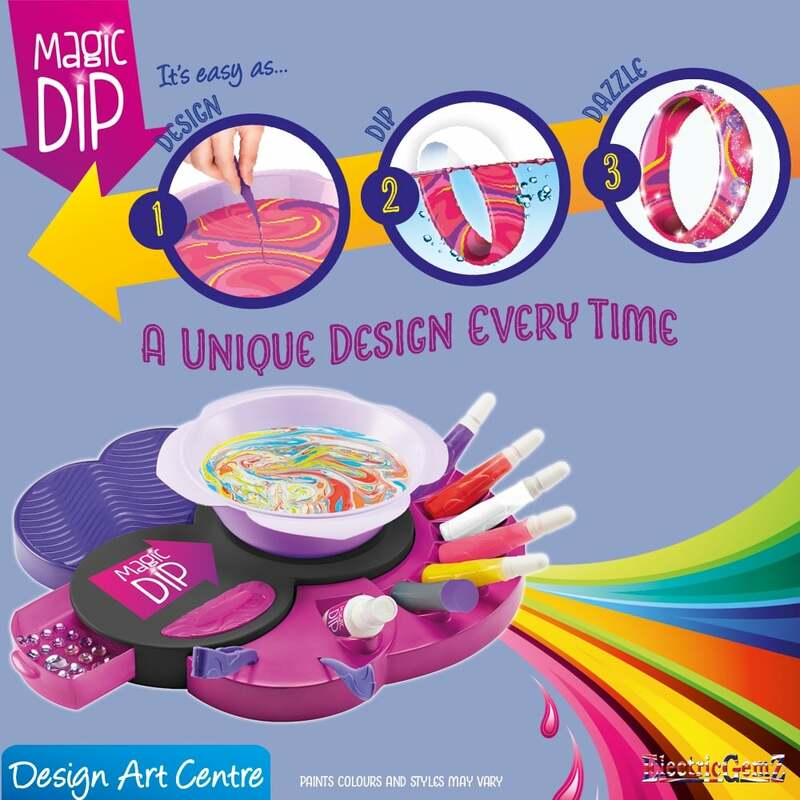 The Design Art Centre includes: 1 Design Art Station, 6 colour paint bottles, 1 large bowl, 1 small bowl, glossy spray, glitter, stirrers, a pair of tweezers, glove, A7 greeting cards, A5 greetings cards, gems, glitter and string. 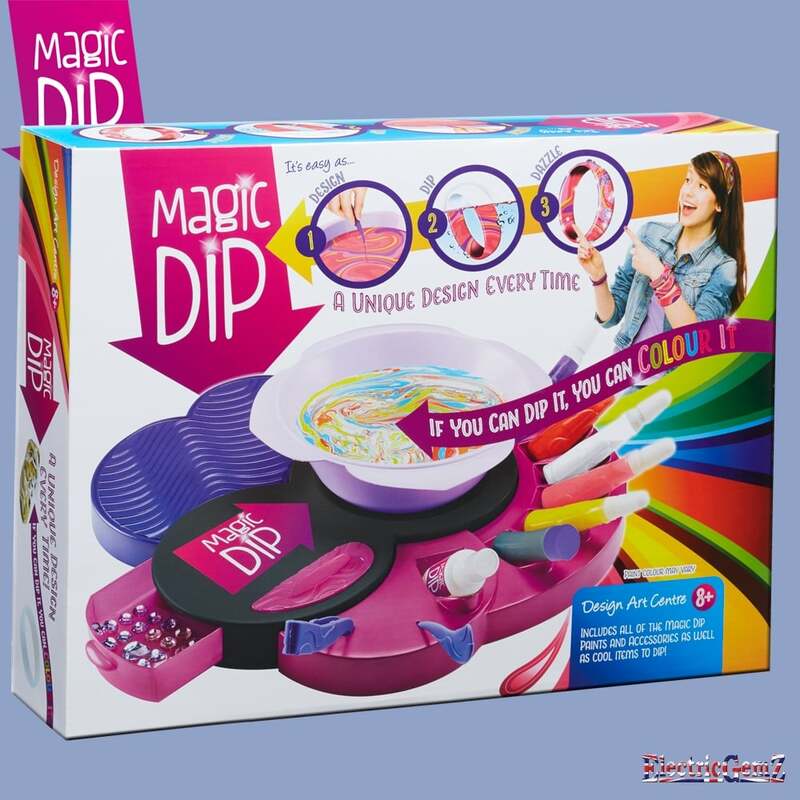 The set also includes cool objects to dip including: charms, a photo frame, hair band and arm ring. The Design Art Centre comes with an instruction leaflet to help get you started.